The MOD-8AO module has a set of 8 analog outputs that could work as a current output (0-20mA or 4-20mA) or as a voltage output (0-10V). Each channel can be individually configured. 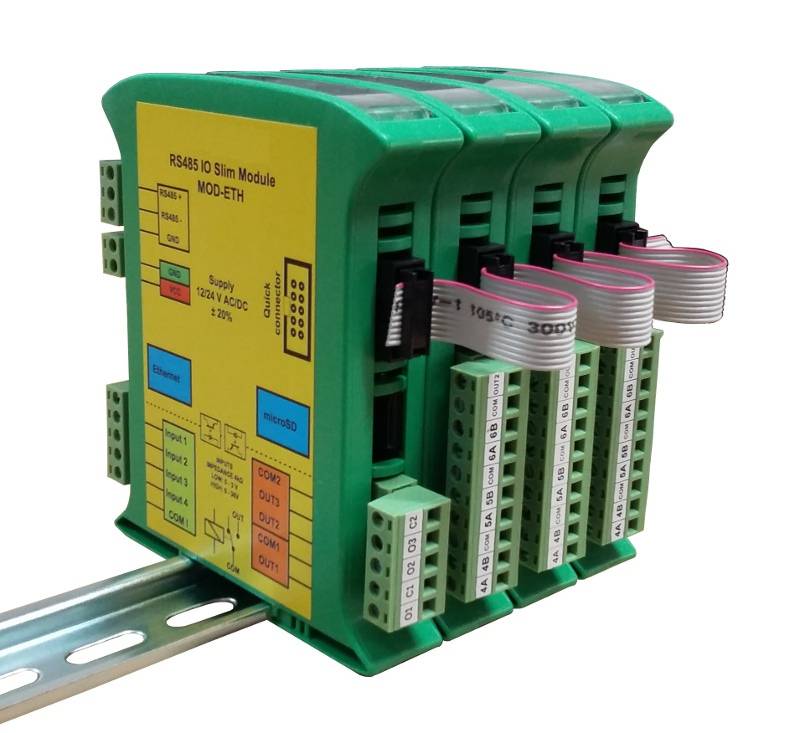 Setting the output curent or voltage value is done via RS485 (Modbus protocol), so you can easily integrate the module with popular PLCs, HMI or PC equipped with the appropriate adapter. 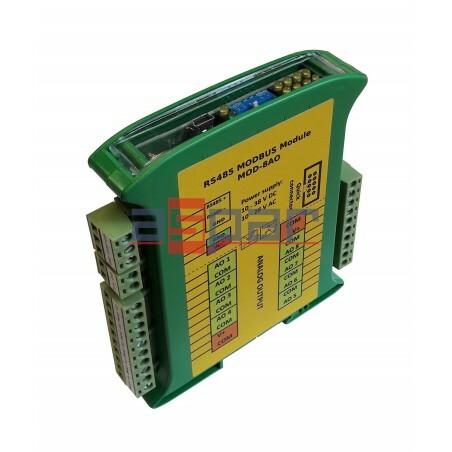 The module MOD-8AO communicates with all commercially available PLCs and other devices that support popular Modbus Master protocol.